Newsabout UniversalProjektProjects and activities in press and media. After months of careful planning and preparations, followed by 9 weeks of construction works Sparkasse Tauberfranken welcomed their clients a newly modernized and renovated space focused in the integration of digitalization elements while maintaining the friendliness and ease of the human component. 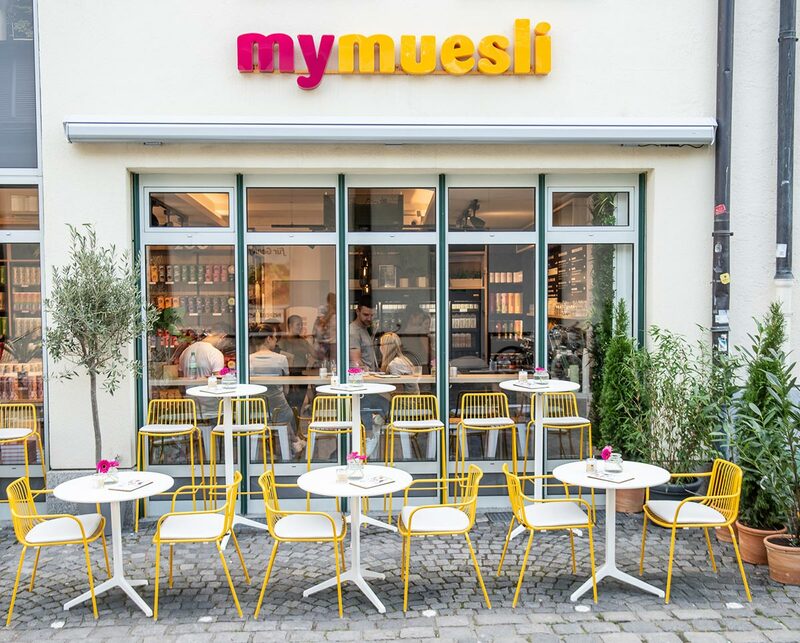 With a hip, informed and fitness conscious clientele, UniversalProjekt successfully redefines a newly created concept for ground-breaking and innovative muesli and cereal brand Mymuesli. Focusing in the concept of freshness and healthy living, the newly created space validates the idea that interior design has a quantifiable impact on the shopping experience.